Kristen Douglas has been writing since 1984 and editing since 1996. She has contributed to "Independent News," "Folio Weekly" and numerous private blogs, with experience covering topics such as home and garden, education, marketing, mental health and cooking/food. Douglas has certification in information processing from Metro Business College and a Bachelor of Arts in psychology from Columbia College. Crock-Pot cooking has enjoyed a resurgence in recent years, and healthier slow cooker recipes are popping up all over the Internet. Crock-Pot cooking saves you time, as you can throw your ingredients into the pot and leave them, returning to a fully cooked meal. Pork loin and shoulder roasts are good cuts of meat to use in slow cookers. Place pork loin whole into your slow cooker, and add pepper to the loin. Wait to salt it, as the cooking process may produce enough of a salty flavor. 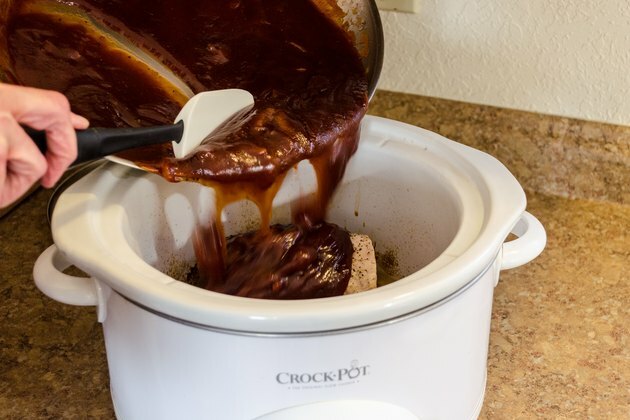 Add the chicken broth, and turn the slow cooker on to a low setting while you prepare your barbecue sauce. 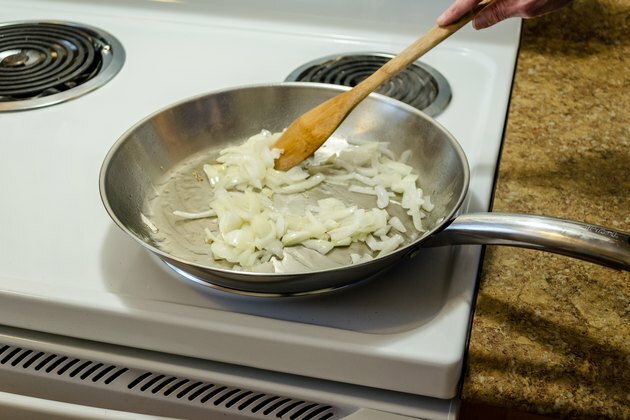 Add canola oil to your medium saucepan and place it on your stove at medium heat. 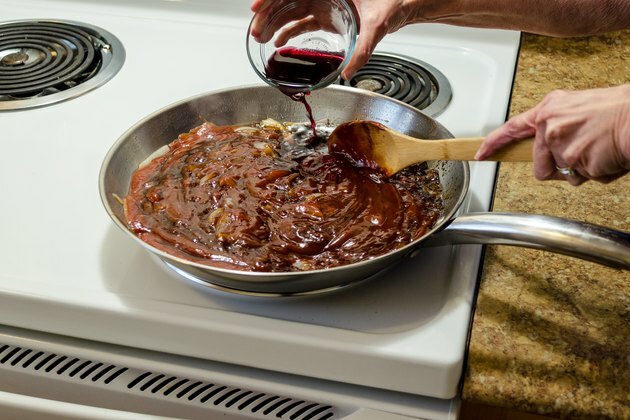 Brown your onions in the oil until they softened slightly, but don't caramelize. Add the ketchup, soy sauce, Worcestershire sauce and wine to the saucepan and bring to a simmer, stirring occasionally. 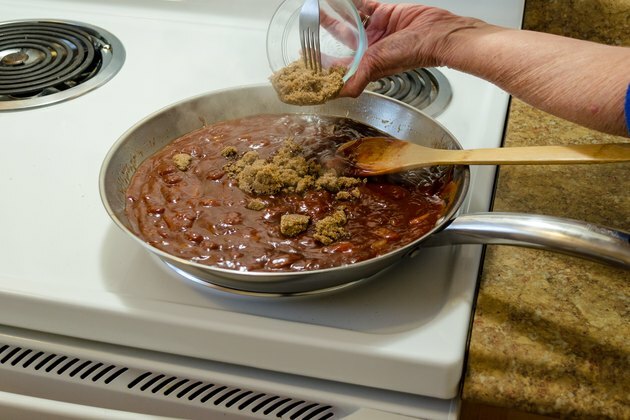 Stir in the brown sugar until it dissolves, and then add the rest of the ingredients. Simmer the sauce for about 10 minutes, then turn off the heat and let it sit, covered, until it is time to add it to the slow cooker. 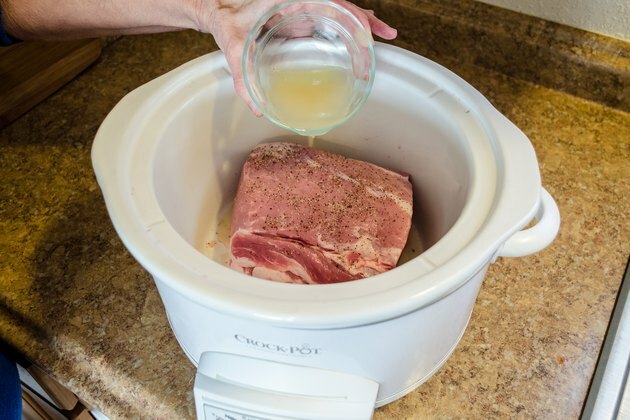 If you want to keep your pork roast in a form where it will be sliced rather than shredded, let it cook in the slow cooker for approximately six hours on low. Check the internal temperature and make sure it is at 140 to 145 degrees Fahrenheit. If so, add sauce and cook on low for another 20 to 30 minutes, or until the sauce is bubbling, and remove it from the heat. 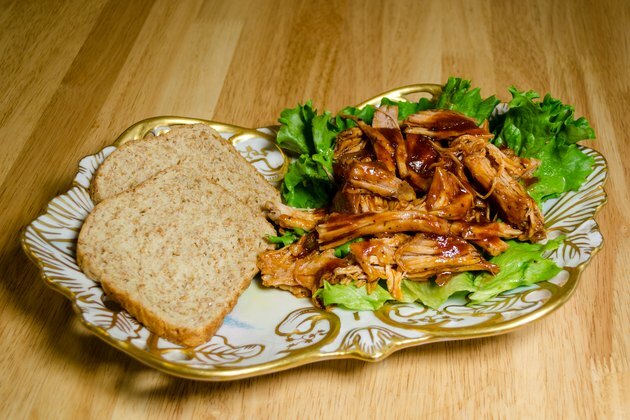 To cook your loin until it makes a fine shredded pork barbecue, cook the roast for six to eight hours on low, and then test it with a fork to see if it pulls apart easily. Once it begins to pull apart, use two forks to pull the meat into shreds, and add the sauce to cook for half hour more. Serve on a bun, or for a healthier option, make barbecued lettuce wraps and enjoy the full flavor of the meat. 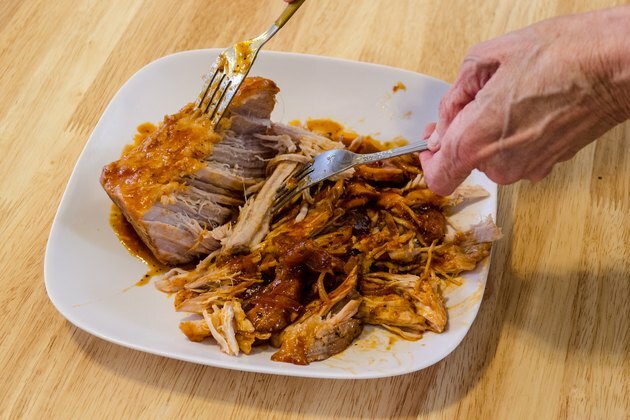 If you find that pulling apart the pork in the pot is difficult, use tongs or a spatula to remove the loin from the slow cooker to a large plate, shred it, and return it to the pot.